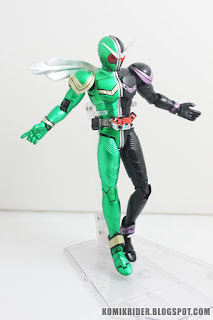 It's me again with another figure review. 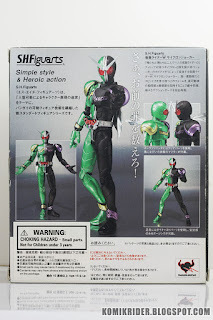 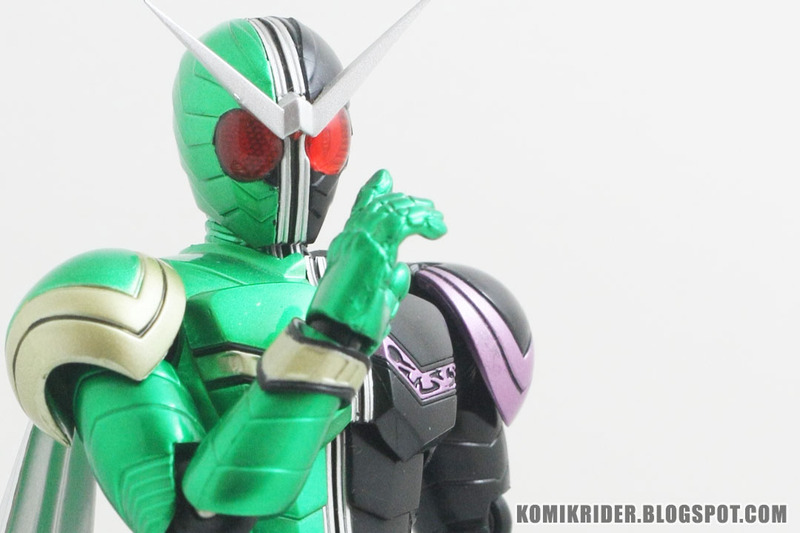 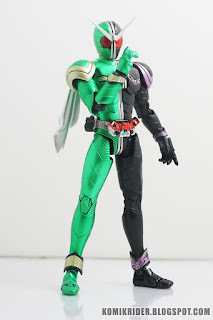 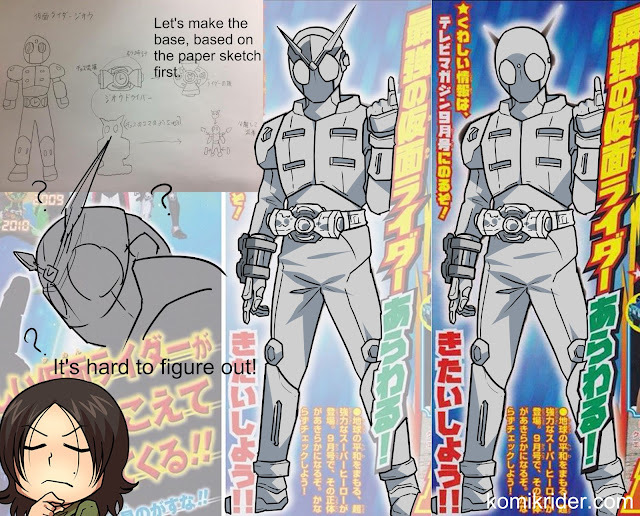 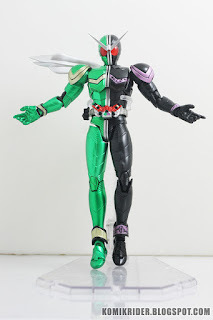 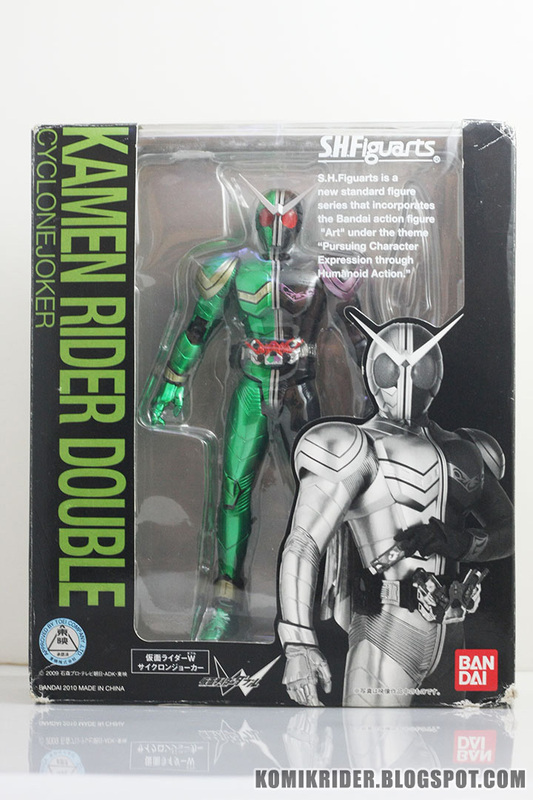 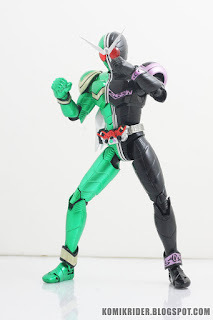 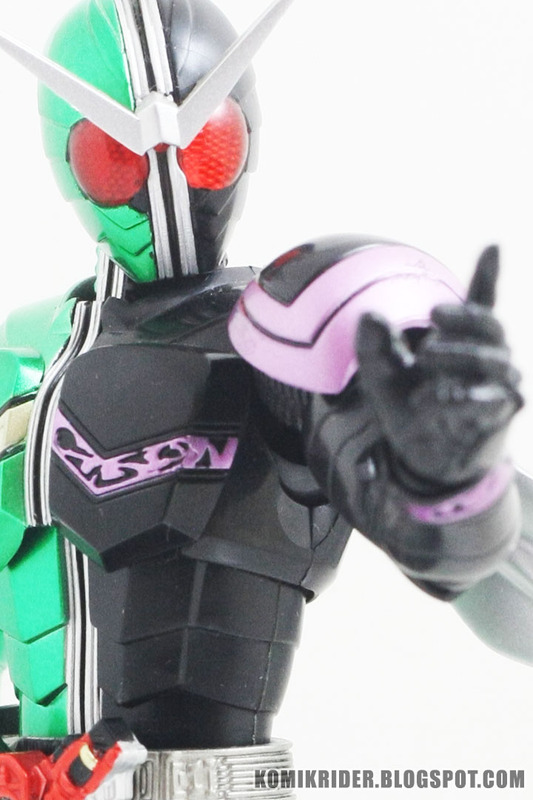 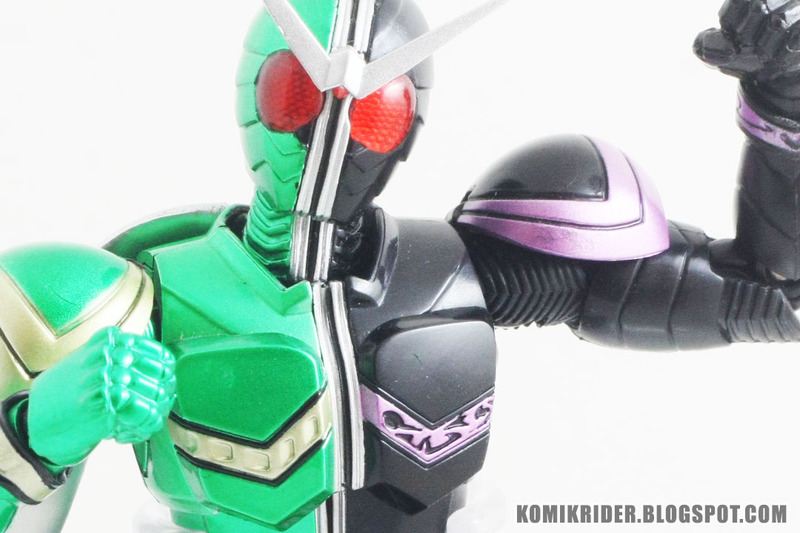 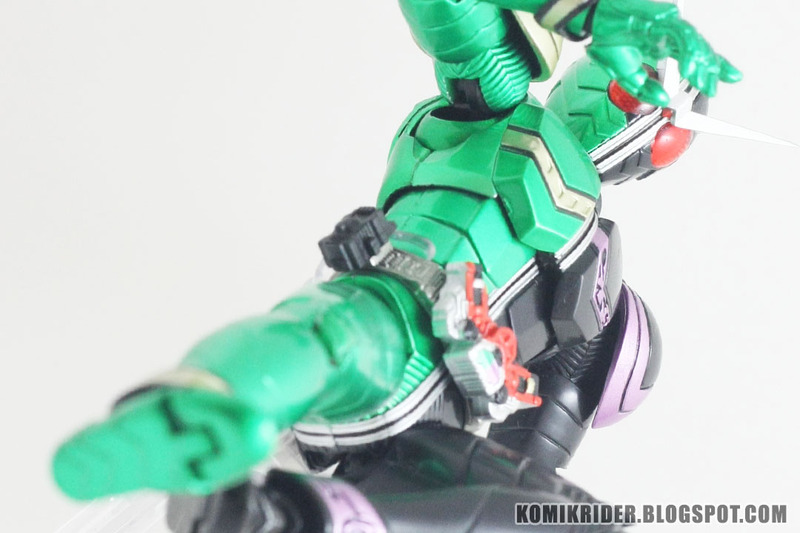 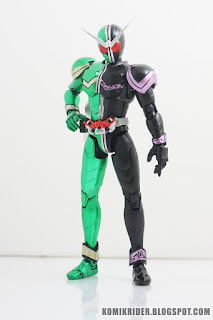 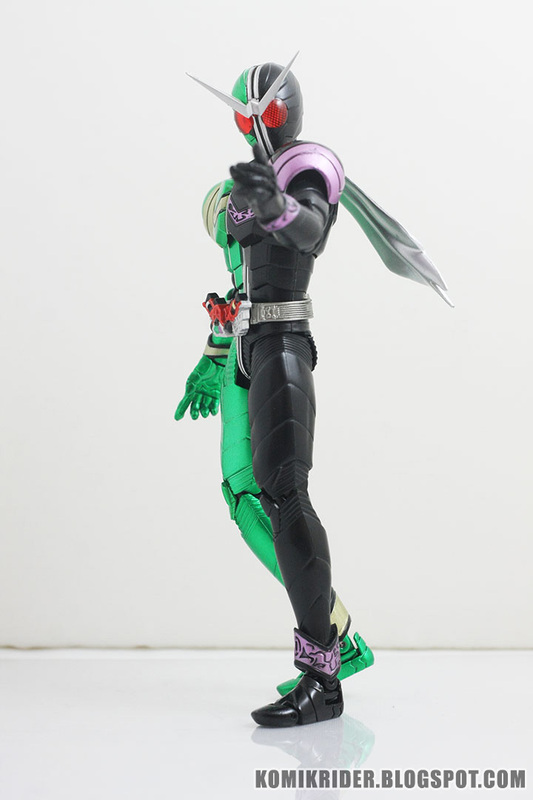 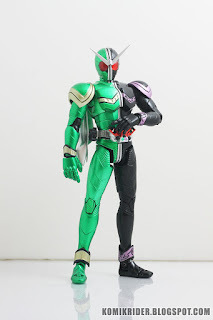 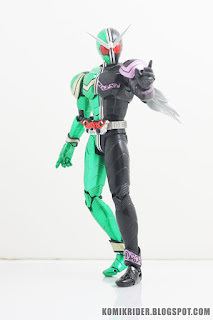 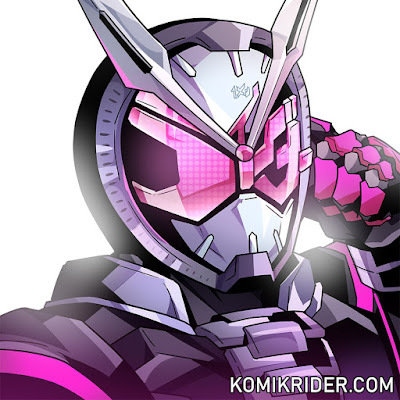 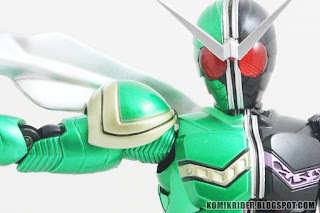 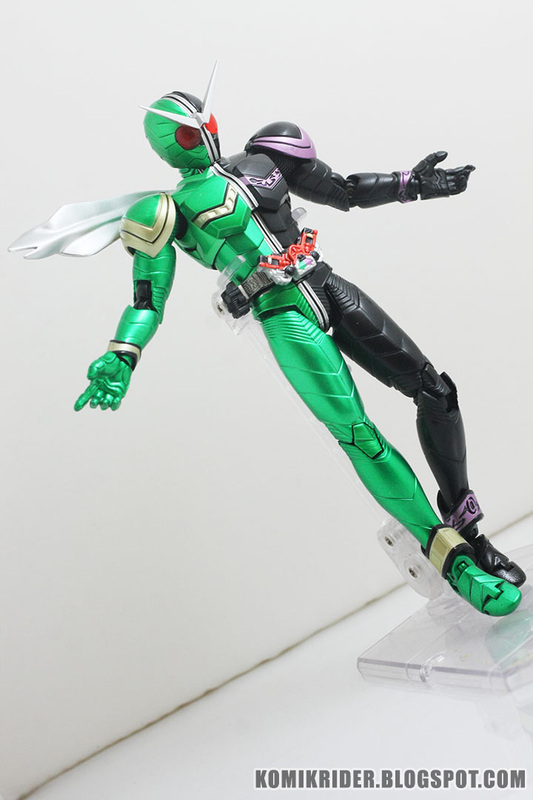 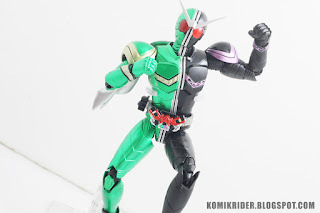 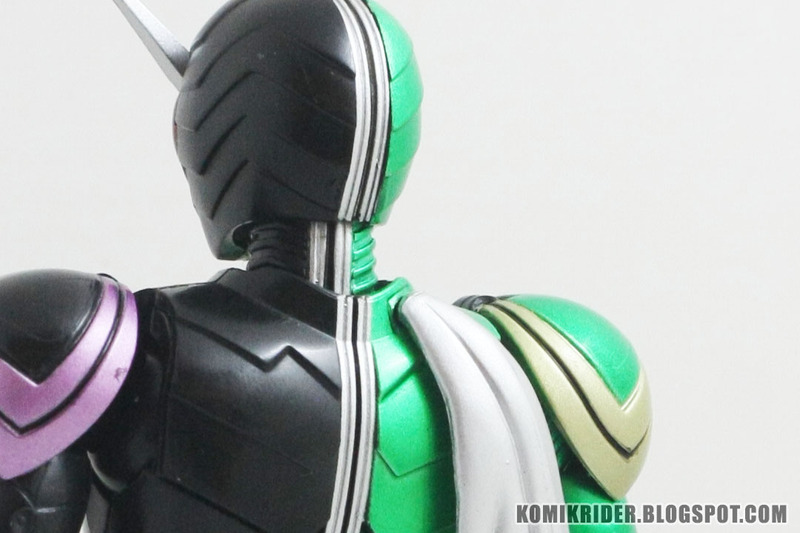 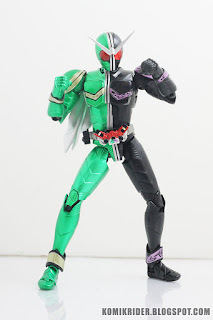 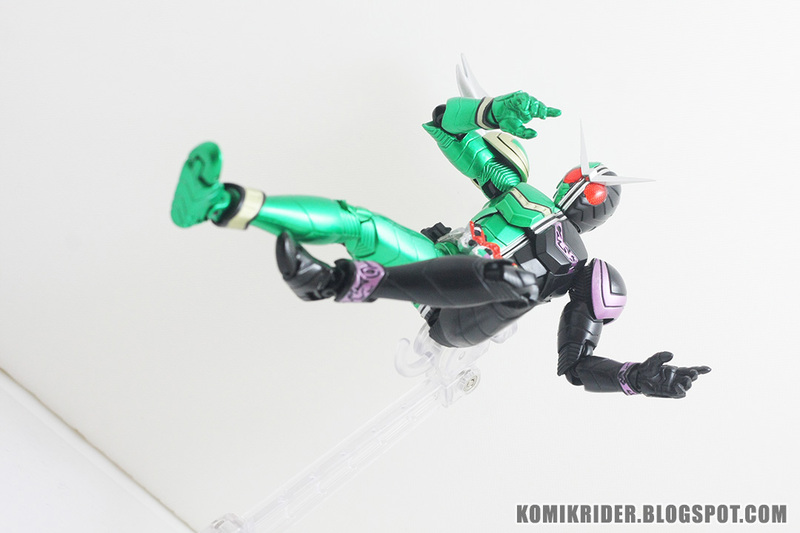 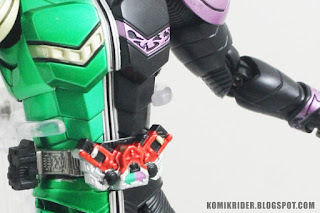 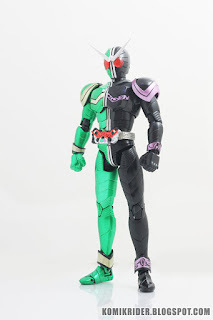 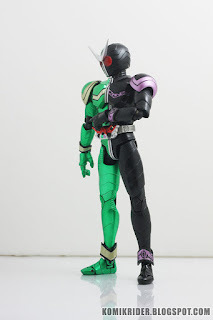 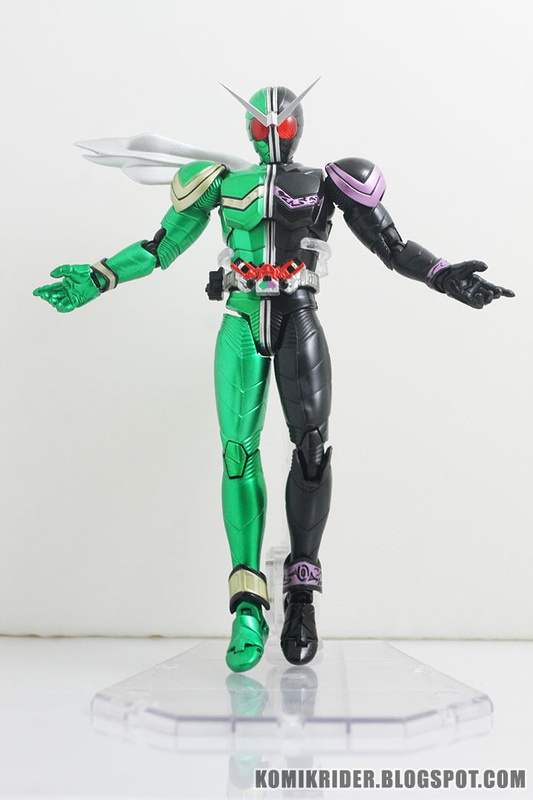 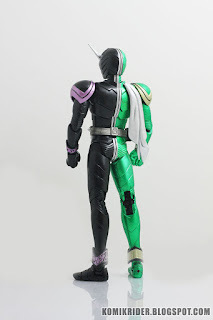 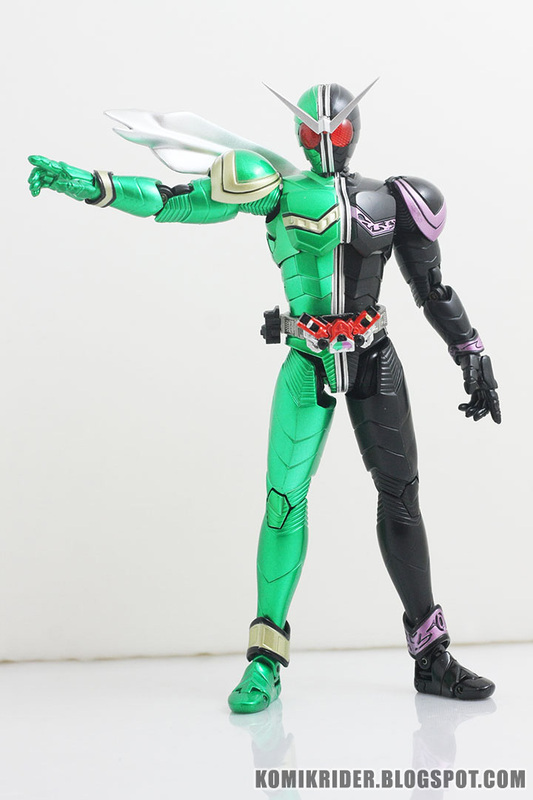 This time : SHFiguarts Kamen Rider Double Cyclone Joker ! 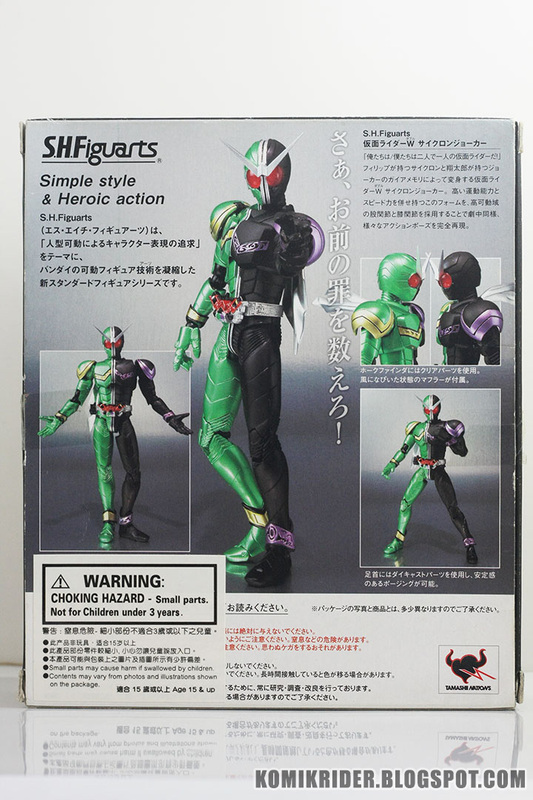 This figure is quite old, probably the middle generation SHF. Even though it's old, it still has nice details and articulation. 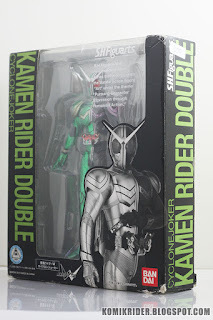 Here's what's inside the box, and yes, I got one part missing. 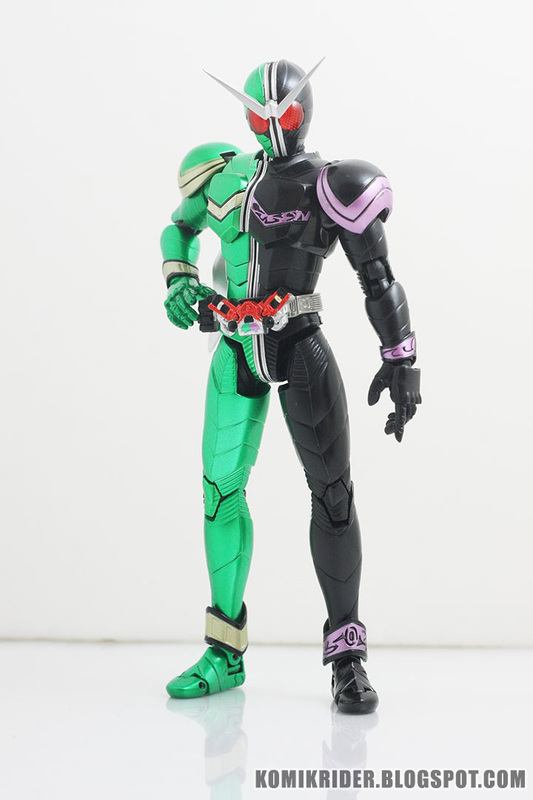 That's pretty sad but I could live with it. 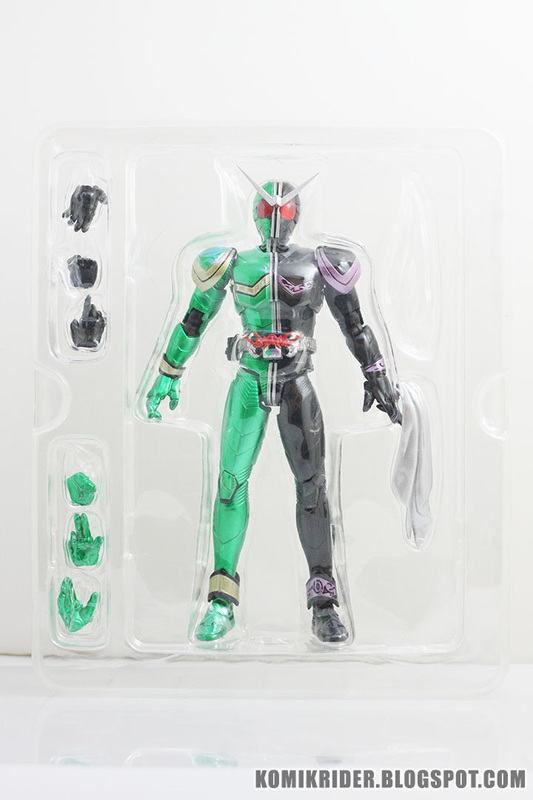 The missing part is an optional scarf. 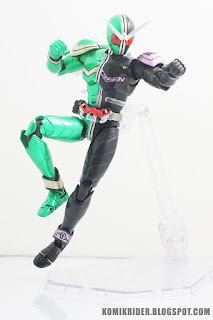 There are eight hands, pretty much complete for doing almost every pose as seen on tv. 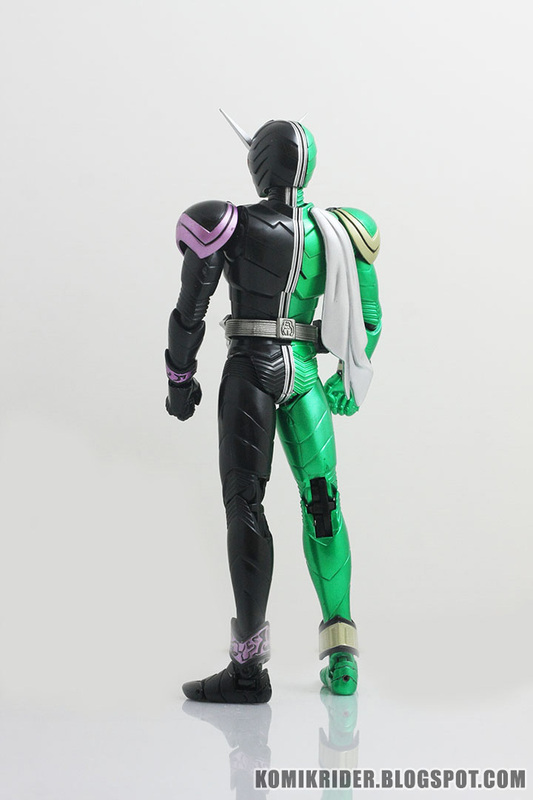 There should be two scarf, but mine was missing so I have one. Proportion is good, pretty good considering this is a middle generation SHF. 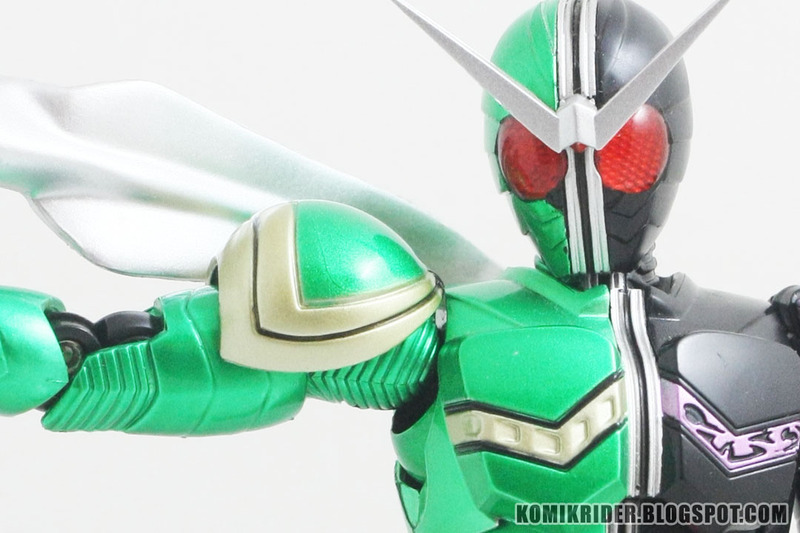 The paintjob is pretty neat, I really like the green metallic paint on Cyclone side. The Gaia Memories can't be removed, the W driver can't be flipped in and out like on the tv. 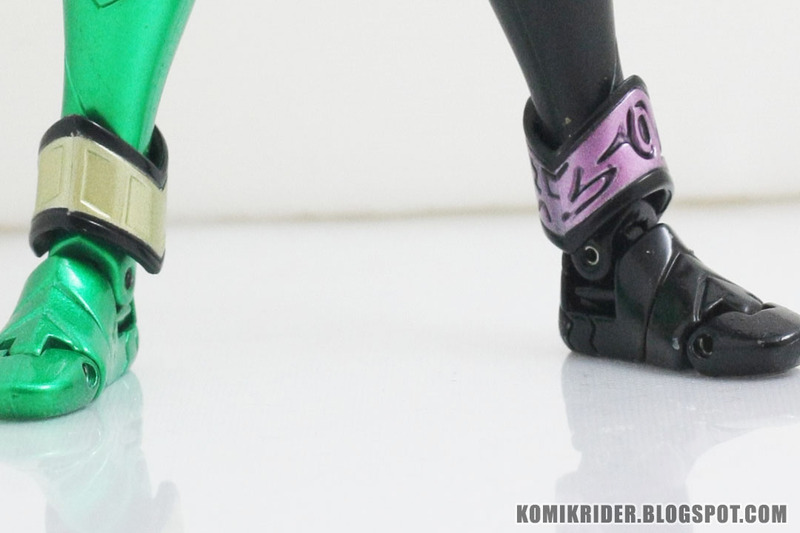 Probably the renewal one will be possible. SHFiguarts Kamen Rider Double Cyclone Joker is a must have for you who want to collect main rider from the Kamen Rider series. This figure is good, the only thing that bad is the thighs joint. 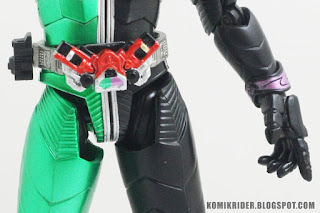 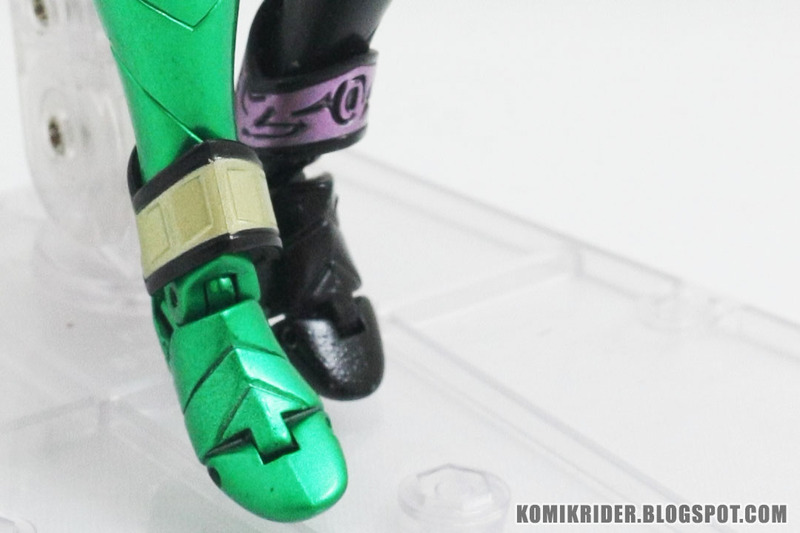 The first and middle SHF has thigh sculpt that blocks the articulation for high kicking pose, but the latest generation of SHF already has different thigh sculpt that allow more articulation. 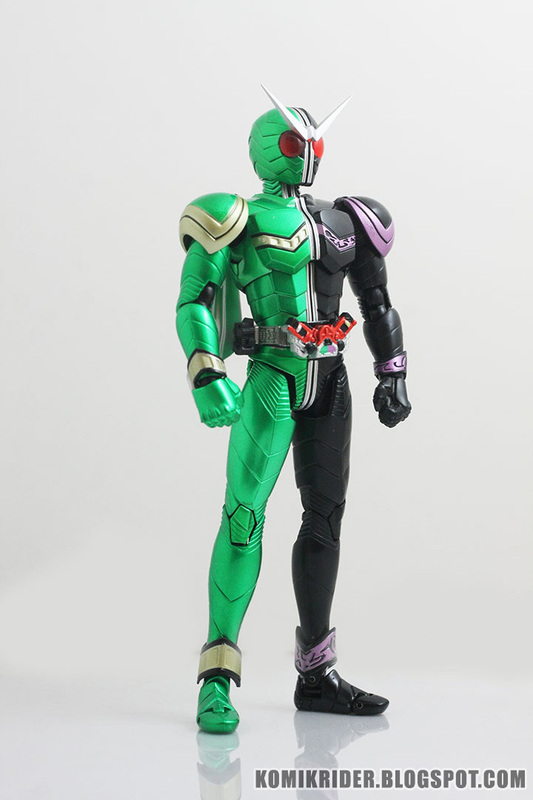 That aside, this figure is really good, the green metallic paint is awesome. Now, count up how much money you've spent for buying figures!